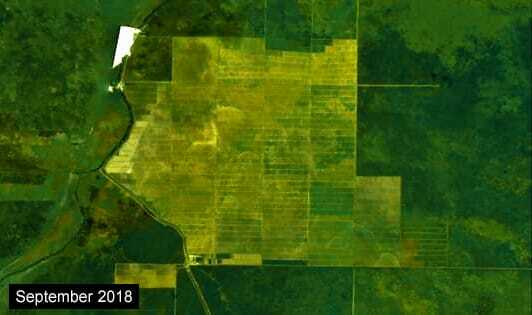 JAKARTA (foresthints.news) - The world's top three biggest food companies in 2018, Cargill, Nestlé and PepsiCo, are still sourcing palm oil from the Jakarta-listed company PT TBLA Tbk which continues to drain Indonesia’s targeted peat restoration areas to this day. Moreover, other companies in the 2018 list of the world's top ten biggest food manufacturers, such as ADM, Bunge and Mars, are also continuing to fill their tanks with palm oil from this listed company whose peat destruction carries on unabated. Excavators have not stopped operating in the concession of PT DGS, a subsidiary of TBLA which is developing new palm oil plantations in 2015's burned peatlands situated in South Sumatra’s OKI regency. These areas are included in the working map of the Indonesian Peat Restoration Agency (BRG). 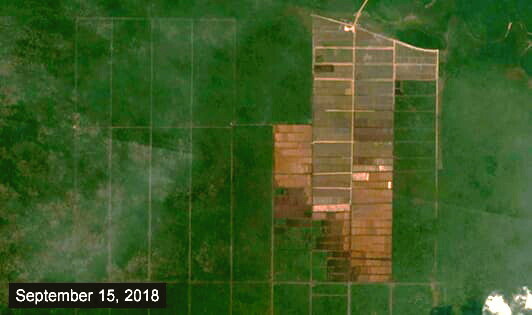 A recent update from foresthints.news (Sep 17) reported how powerful TBLA had become, in that it is brazenly going ahead with the development of new palm oil plantations in peat restoration areas. 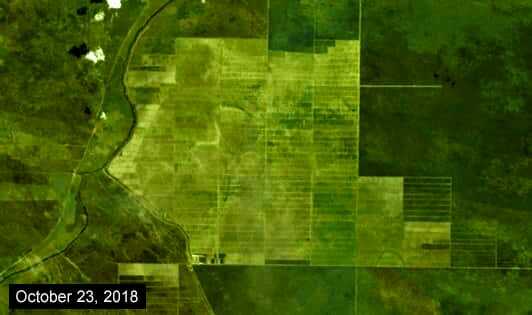 The following time-series based Planet Explorer images, prepared by the foresthints.news spatial team, portray the non-stop new peat development involving 2015's burned peatlands in the TBLA concession, in what is a targeted peat restoration area. 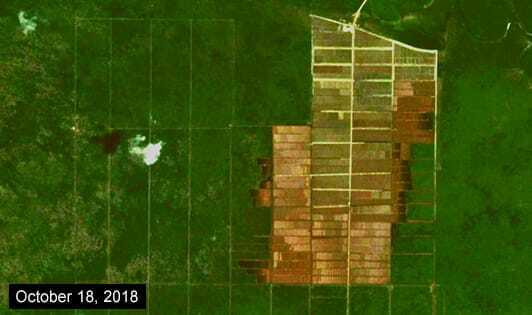 The palm oil supply chains of Cargill, Nestlé, ADM, Bunge and Mars all remain linked to the ongoing draining of such targeted peat restoration areas, despite these huge companies being members of TFT and the RSPO. PepsiCo, which is only a member of the RSPO, is no different in this regard. In many cases, including this one, it is easy to draw a clear conclusion that there are no significant differences between TFT and RSPO members considering that their supply chains are similarly tainted by their association with the destruction of peat restoration areas. 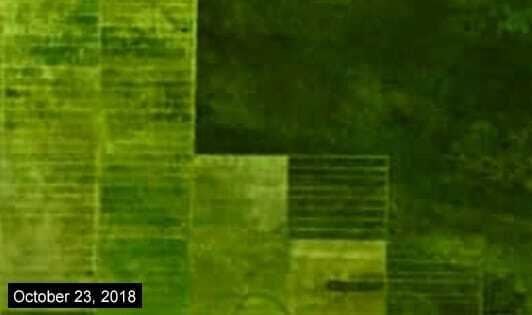 Making matters even worse, the TBLA company is also still draining prioritized peat restoration areas spread across another of its blocks, located relatively close to the abovementioned concession block. While the peat drainage practices shown above continue without cessation, not one of the six aforementioned leading global food companies has declared that it will stop sourcing from TBLA. The fact that six of the world’s largest companies in the global food sector are still reliant on palm oil derived from such a disreputable source engaged in the relentless destruction of peat restoration areas serves as an important lesson learned. As reported regularly by foresthints.news, Cargill, Nestlé, ADM, PepsiCo, Bunge and Mars, among others, are still heavily tied to suppliers that clear peat forests inhabited by the critically-endangered Bornean orangutan. Furthermore, foresthints.news has also previously revealed that the supply chains of these huge global food companies are contaminated by a supplier that continues to destroy high carbon stock (HCS) forests and peat ecosystems in West Papua province.